Factor Investing poses some interesting challenges for wealth managers. On one hand, the evidence is very strong that investing using factors produces superior to returns to market cap weighted indexes over the long-term. On the other, factor strategies introduce another set of behavioral problems for clients because the extended periods of underperformance that are common in factor investing can lead to bad decision making and underperformance relative to index funds if investors aren’t able to stay the course during them. For this week’s interview, we wanted to talk to someone in the wealth management space to see how they view the trade offs that come with utilizing factor-based portfolios as part of their overall investment strategies. Michael Batnick is the Director of Research at Ritholtz Wealth Management and one of the best financial bloggers out there. If you don’t read his blog, The Irrelevant Investor, I highly recommend that you start to. He is also the author of Big Mistakes: The Best Investors and Their Worst Investments and the co-host of the Animal Spirits podcast. Ritholtz Wealth is one of the fastest growing wealth managers in the country. As a member of their investment committee, Michael is in a unique position to offer some insights on the pros and cons of using factor-based strategies in client portfolios. In this interview, I get his take on that topic, and several other issues currently facing investors. From the outside looking in, I would think that factor investing presents an interesting dichotomy for a wealth manager. On one hand, the long-term returns of the major factors like value and momentum would seem to support using them in client portfolios, but on the other, the extended periods of underperformance that can occur with factors present a behavioral challenge. If clients can stick with them during the bad periods, then factors should offer the opportunity to enhance returns, but if they can’t then clients are likely better off in index funds. As someone who builds the models used for client portfolios, how do you look at this trade off and the pros and cons of using factors? It’s often been said that the best portfolio is the one you can stick with and I subscribe to this idea. The advisor might feel confident that a set of factors will provide better long-term returns, but if the client can’t stick with it during the inevitable periods of underperformance, then long-term is irrelevant. The long-term is only a series of short-terms and you have to understand that client’s don’t know as much as you and might not be able to stick with a factor if it has underperformed for a few years. Even though a few years might be meaningless to academics, its very meaningful in the real world. Certain factors have provided better returns than the market historically, but there are no guarantees that the ones that worked in the past are the same ones that will work in the future. I think you have to balance the evidence of the market with the evidence of human behavior. Jack: What is going on with value investing right now offers a good real-world example of the extended bad periods that can occur with factors. It also has sparked an interesting debate about the future of value. The long-term evidence strongly supports value investing, and previous extended periods of underperformance were all followed by a reversal. But some argue that quantitative investing and big data have made value much harder than it once was. And technology has been a headwind for value both because it underweights stocks in the industry and because firms like Amazon are taking share from traditional value companies. What are your thoughts on the future of value investing? Do you still think it will offer the outperformance in the future that it has in the past? I go back and forth on this a lot, so I guess that tells you that I don’t feel too strongly either way. If I had to pick a side however, I would say that value investing is a way to arbitrage our behavioral biases, and the only reason why it works is because there are long periods like today when you question if it ever is going to work again. I think it’s fair to suggest that the days of net nets are long gone, and maybe we have to be more realistic with our expectations going forward. 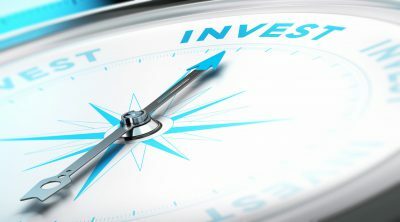 Jack: I referenced behavior above as it applies to factor investing, but in reality, it is probably the biggest issue standing between most investors and their long-term investing goals regardless of how they invest. I am a regular reader of your blog and the blogs of your colleagues at Ritholtz and this issue seems to be a primary focus for all of you. Since you have been at Ritholtz from the beginning, I am wondering what you have learned about how to best manage client behavior and what tools or approaches tend to produce the best results? In the heat of the moment, we need to have a rules based method to de-risk, which allows us to avoid the all-in all-out decisions that can be catastrophic to building and preserving your wealth. We’re just as susceptible to bad behavior as anyone else, which is why the tactical model does not rely on any intuition. We believe in index funds, but we also believe that feelings trump everything else, so we try to blend the best of strategic asset allocation with a tactical component so that they can stick with what we’ve recommended when the going gets tough. Jack: Ben Hunt of Epsilon Theory started an interesting Twitter debate recently about whether alpha is achievable in the current investing world. Now that standard exposure to factors like value and momentum is considered beta, the bar to cross for active managers to produce alpha is very high. Ben’s overall point was that he believes that alpha is not possible without non public information. And since pretty much all legal information these days is public and gets disseminated quickly, it doesn’t paint an optimistic picture for the ability of managers to generate alpha going forward. Where do you come down on this debate? Do you think it is still possible for managers to generate alpha without material non-public information? I absolutely believe that alpha is a real thing. But I also believe that very few people obtain it and people spend an inordinate amount of time, energy, and money searching for it. Most investors would be best served focusing on capturing beta. Jack: You participated in a recent article by Brendan Mullooly where he asked a group of successful investors what their biggest behavioral bias was. Overconfidence seemed to be the most popular choice, but the answers covered a wide spectrum of biases. When I was reading the article, I thought it would be interesting to contrast the answers the experts gave with the types of biases that have the biggest negative impact on individual investors. Which biases do you think have the biggest effect on individual investors and how do you think that contrasts with the answers given by the pros? I don’t think there are big differences in behavioral biases when it comes to people in finance and people outside of it. All humans are human. Jack: The issue of home country bias has been the subject of a lot of debate recently. On one hand, finance theory would support significant exposure to other countries given the diversification benefit it provides, and people like Meb Faber have argued that US investors should have much more foreign exposure than they do now. On the other, your colleague at Ritholtz Josh Brown and others have argued that there are many reasons that a country like the US should trade at a premium, which would support having more home country exposure for a US investor than an optimization model might dictate. There also could be a behavioral component here, with investors potentially being more likely to stick with a strategy that focuses on investing in a country that they know. What are your thoughts on the balance between global diversification and home country bias? I am a big believer in global diversification. I understand all the reasons why the U.S. should trade at a premium, but I also believe that you shouldn’t put all your eggs in one basket. The outperformance and underperformance of U.S. stocks relative to the rest of the world has ebbed and flowed in the past and I do believe that U.S. outperformance is not a permanent feature of the markets. Again I understand why we have done so much better over the last decade, but that’s not a bet that I would want to make in perpetuity. Jack: Thank you again for taking the time to talk to us today. If investors want to find out more about you and Ritholtz Wealth Management, where are the best places to go? My blog is Michaelbatnick.com and my book is Big Mistakes: The Best Investors and Their Worst Investments.